known for "Bede's library." He is a member of the CARE. 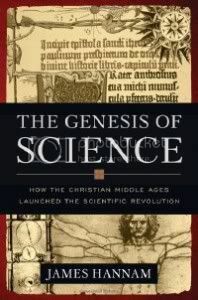 On March 21 a ground breaking work, The Genesis of Science: How The Christian Middle Ages Launched the Scientific Revolution, (Washington DC: Regnery Publishing Inc. 2011), by Cambridge-trained historian James Hannam, takes its place in the United States on the shelf alongside other historical classics. The book has already been released in the UK (as God’s Philosophers). For the last several decades historians of science have known something that still eludes the general public. Thanks to great books such as Margaret Jacob’s The Newtonians[i] or Lindberg and Numbers’ God and Nature,. 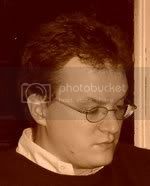 [ii] the whole field of history of science is routinely aware of the fact that Enlightenment-spawned notions of the church persecuting burgeoning science in the Middle Ages, are just so much propaganda. As Hannam’s book documents there was no rash of would-be Einsteins in the Middle Ages put down and held back persecution of scientific ideas. The reason this book may be destined for status as a classic is two fold: first because Hannam’s engaging and easy style makes the material accessible; secondly because it fills a void not previously filled by the body of work in history of science. Most of the works in question, such as those mentioned above, either deal with a later period (that of Newton and the Seventeenth or Eighteenth centuries) or they deal with the general sweep of history, touching upon every period and focusing mainly on modern times (such as the Lindberg book does). Hannam actually uncovers the depth of scientific work in the Middle Ages, the extent to which discoveries set up the process of scientific learning, and how the church nurtured it rather than held it back. The scope and details he brings to coverage of the period fill a void in a way other historians have neglected. The work disabuses the reader of three grand misconceptions that the general public has been fed by non-specialist historical pedagogy at all levels of education: Medieval people did not think the earth was flat and their scholars could prove it was not; the Inquisition never persecuted anyone for doing or thinking about science; and the scientific learning that went on in the Middle Ages, including what the church promoted and enabled, set up the scientific revolution. The Jacob book demonstrates that English church men of the Seventeenth century made Newtonian science possible and boosted it among the general public, thus essentially creating modern science along the way; in the same way and with no less erudition Hannam demonstrates how the developments of the Middle Ages set up those developments in the latter era. Hannam begins by discussing the history of the idea of the “dark ages.” How did historians come to regard this period after the fall of Rome up to the Renaissance as “the dark ages?” There has been a trend in history as a whole for the last 40 years to de-periodize history. The Renaissance is no longer understood as a period of time but more as a movement that overlapped several periods. One such major source would be Peter Burke, The Renaissance. [iii] According to Hannam, historians originally spoke of the “dark ages” meaning the period had little surviving in the way of documents or texts that furnished a lot of information about the era. It was the Enlightenment philosophers who began using the term in an anti-clerical way, to specifically refer to the church’s attitude toward science and the suppression of learning. It was really in nineteenth century France, Hamman tells us, where the structures of history were periodized and given names that reflect this ideology coming out of the Enlightenment. This was the century when the social sciences were organized and when August Comte began structural functionalism. They were extending the philosopher’s predilections to a re-write of the world. In fact the centuries immediately after the fall of Rome saw much progress in the way of discoveries. Hannam opens the first chapter with the discussion of these discoveries. The old philosopher-based anti-clerical view sees the period it calls “the dark ages” (from the fall of the Western Roman Empire, to after the Norman conquest of 1066) as one in which progress stopped. In reality that era saw much in the way of progress. Western Europe made progress in technological terms, although the beginning of it seems very simple, low tech, unscientific--but it was not the arresting of progress. One of the first aspects of progress with the improvement of the plough, that led to increased food production and population explosion that enabled economic growth and the development of cities eventually. The Normans invented the stirrup that was a military advance and important in their conquest of the Saxons. The importance of conquest was the consolidation of power. There as a power vacuum after the fall of Rome. By consolidating power, greater communication became possible, discoveries could be disseminated. Most the discoveries in that era were in the area of agriculture. The Genesis of Science is an immense research project pulled off masterfully. Oxford and Cambridge did their jobs in teaching Hannam how to research. It’s a vast understanding and spans the gamut of the field: medieval theology, cosmology, astronomy, even astrology and alchemy, all forms of medieval learning, mathematics--the vast range of human knowledge for people of the Middle Ages are summarized, and all the relevant developments to the story of how modern science emerged from human learning are recounted, yet in an accessible and easy to read style most engaging to the reader. The author proves his thesis that Christianity did not persecute science but nurtured it and enabled it to develop. “Popular opinion, journalistic cliché, and misinformed historians notwithstanding, recent research has shown that the Middle Ages was a period of enormous advances in science, technology and culture. The compass, paper, printing, stirrups, gunpowder, all appeared in Western Europe between 500 and 1500.” [iv] The compass allowed better navigation and trade and eventually led to discovery of the New World. Twenty million books were produced in the first fifty years after printing press was invented, a veritable explosion of knowledge which contributed in obvious ways to the rise of modern science, down the road. Yet there is a lot more to the story of development than just particular inventions from business and agriculture. One of the major arguments made by skeptics, especially the “new atheists”, is that philosophy was useless and just “making things up,” but empirical scientific knowledge is factual and true and gives us an accurate understanding of the world. Actual scientists know there is more to it than this, but one hears atheists argue this way. Hannam’s book demonstrates that without the role played by reason, philosophy, and the church modern science would not have developed. The traditional Enlightenment-philosopher-influenced historian has habitually lauded great individuals, such as Di Vinci for example, as bucking the trends, standing alone against the time, one guy by himself who was brilliant enough o see through the status quo. Yet Hannam points out that when one examines the immediate milieu of such thinkers, it usually turns out that they were products of a going concern, or influenced by trends already in progress around them. However brilliant the innovators, they were nevertheless the outgrowth of a progress that never stopped. One such example is that of St. Anselm of Canterbury, the author of the famous “ontological argument.” Fleeing his father in their native Aosta in the Italian Mont Blanc, across the Alps and into the Rhone valley, the young boy who would become St. Anselm settled for a time in northern France. He found the most dynamic region in Europe at that time. The ferment was around the Cathedrals because they served as focal points of human energy, effort, belief, concern and the use of technology of the day. The cathedral cities of Paris, Chartres, Rheims, and Orleans, provided a magnet that formed a hub of activity, not the least of which was a vital scene for scholarship and philosophy. It was out of this center that Anselm moved forth and helped to produce a theological and philosophical ferment. Skeptics look at medieval philosophy (or don’t look at it closely) and find silly unscientific concepts, but the truth is that these disputes, arguments and ponderings got science going. Hannam deals with Copernicus and the fact that his system was never the least bit threatened by the church because it was proposed hypothetically and was not a challenge to authority. Hannam demonstrates a rich background that Copernicus drew upon, consisting of many ancient world and "dark age" thinkers known in the middle ages who believed in geocentrically solar system. The final chapter is a tour de force on Galileo demonstrating that his problems were politically driven not based upon any hatred of science by the church. Overall Hannam has produced a wonderful book, and I think all who care about Christian apologetics, or even just the status of religion in the modern world, need to read it. [i] Jacob, Margaret C. The Newtonians and the English Revolution: 1689-1720. Ithica New York: Cornell University Press, 1976. [ii] David C. Lindberg and Ronald l. Numbers, ed, God and Nature: Historical Essays on the Encoutner Between Christianity and Science. .University of California Press, 1986. [iii] Peter Burke, The Renaissance, New York: Macmillian, 1997. Unfortunately, a new book that just came out has the same title, which is probably going to cause some confusion for buyers--though I hope not. wow, that's unfortunate. thanks man.